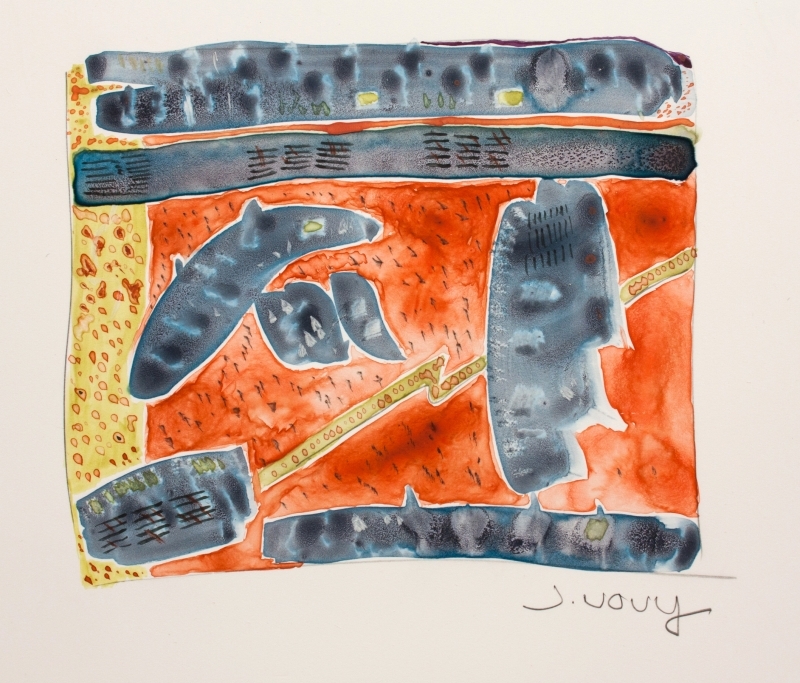 A retrospect of Jan Novy's watercolors from the past three decades will be on exhibit June 24-August 10. This intimate collection has never before been shown in public Jan's art has became more non-representational over the years, favoring patterns, grids and color. Novy's art has been inspired by photographic images taken of street grates in Paris, rows of cabbages near Prague, and avenues of standing stones in Scotland.